The Common Law Admission Test (CLAT) is the key to enter one of the twenty one national law universities (NLUs) in the country. The NLUs are undoubtedly the most prestigious institutions in India, where one can study law, obtain specialized qualifications and build a promising legal career for himself/herself. While there are more than a thousand universities and colleges all across India where one can study law, the NLUs are still widely recognized to be a class apart, so-called ‘islands of excellence amidst an ocean of mediocrity’. Most of the NLUs at present offer both undergraduate programmes such as B.A./B.Sc./BBA./B.Com/B.Tech. LL.B. (Hons. ), as well as postgraduate programmes such as LL.M. in a variety of specialized disciplines such as Commercial Law, International Law, Intellectual Property Law, Business Law etc. CLAT is currently the only way for seeking entry to these coveted programmes. The CLAT- 2018 had seen participation of almost 60,000 students in the undergraduate level and close to 6,000 students in the postgraduate level. This year, CLAT- 2019 is expected to witness a hike of almost twenty percent in these numbers. It is quite natural in any discipline for the undergraduate applicants to outnumber the postgraduate ones. However, as the numbers show, competition is quite tough in the postgraduate level too, especially since the total number of seats in the LL.M. programmes being offered across all the NLUs in 2018 came to a meagre six to seven hundred. Taking the expected increase in the number of applicants in 2019, that means a success rate of less than ten percent! What makes the LL.M. programme in national law universities a coveted one? Specialisation in focused and specific subjects of your choice and stream, a well-designed and intensive curriculum offered in the space of a single year (as opposed to the earlier two-year programme), a group of hand-picked and competitive peers, the greater exposure offered by national law universities as compared to other traditional universities offering similar programmes, and above all, the reputation and alumni network of the national law universities to bank upon, to name a few. From a career perspective, life as a post-graduate student in a national law university provides opportunities one may not get anywhere else, including access to internships and campus recruitment. If one is academically oriented, then there are several universities which offer teaching assistantships to LL.M. students and similar opportunities; in addition to that, a degree from such an institution may prove to be a valuable addition to one’s resume while applying for further higher studies at universities abroad (including scholarships) or while applying for a teaching position. Moreover, there has been another development in the past few years that renders the CLAT LL.M. Entrance Examination even more attractive to graduates or final year law students. Several leading public sector undertakings including Navaratna and Maharatna companies like Indian Oil Ltd. and others have been relying on the scores obtained in this examination in order to shortlist candidates for recruitment. Of course, in order to be privy to such an opportunity, candidates need to secure the very top ranks in the examination. Now that we have discussed some of the reasons why it is so necessary to secure a good rank in the CLAT LL.M. Entrance Examination, how does one go about doing that? The examination consists of 150 marks, which his divided between the Subjective and Objective, with the latter having four options to choose from and one mark assigned to each question. While the subjects are those every law graduate must have already covered in course of the LL.B. Programme, the key feature is solving 150 questions from various legal disciplines accurately in the space of 2 hours. Added to this is the fact that a wrongly selected option in the Objective Section out of the four available will lead to a deduction of 0.25 marks. The most important factor that can make a difference in this examination is therefore continuous, repeated and regular practice –to the extent that when the candidate faces the final question paper, it seems to him/her to be a mere repetition of the ones he/she has solved before many a time. Recreating the examination conditions to the most accurate extent possible is therefore significant, especially in terms of the pattern and quality of the question papers that CLAT commonly prepares for the candidates. 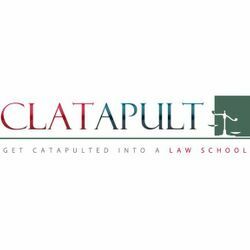 To further that objective, CLATapult has created a set of study material, each module dedicated towards one of the disciplines of law that are covered under the examination. This includes Constitutional Law, Jurisprudence, Criminal Law (covering both the Indian Penal Code and the Code of Criminal Procedure), Law of Contracts, Law of Torts, Public International Law & Human Rights and Environmental Law. Of these, the first two, viz. Constitutional Law and Jurisprudence, form the bulk of the content, given the increased weightage these two disciplines are accorded in CLAT over the past years. However, each of the other subjects too has been dealt with in a comprehensive fashion, with the salient aspects highlighted, and important theories, applicable legislations, developments and case-law precedents focused on. While the content is not meant to cover any of the disciplines in depth, care has been taken to concentrate on those parts of the discipline that are usually amenable to questions as per the usual pattern of CLAT LL.M. papers and as wide a range as possible has been sought to be covered in the module dedicated towards each discipline. The objective of this set of study material is not to supplant or replace the standard text books or classroom teaching for any of these subjects. The candidates for the examination would do well to keep that in mind and strengthen their conceptual fundamentals from the regular textbooks that they have studied at the undergraduate level. 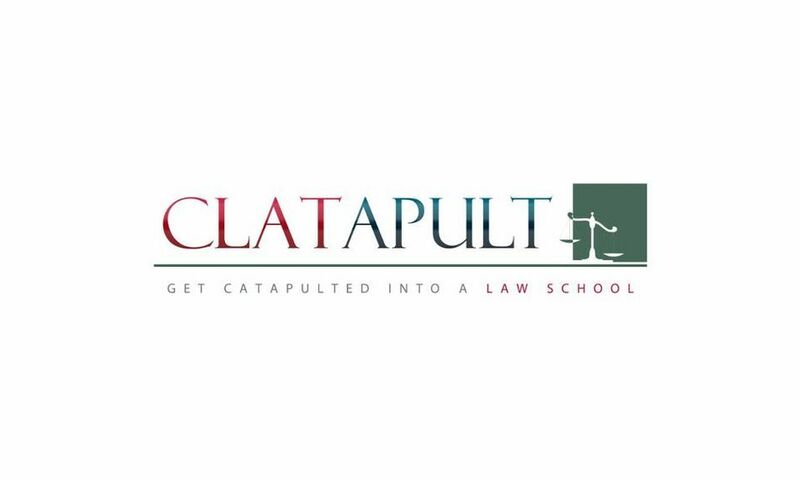 The CLATapult study material is not meant as a substitute for those books, but rather as a supplement, meant to hone the conceptual and analytical ability of a student and help him/her to brush up the more important and relevant aspects of a discipline, thus helping the candidate to ace the examination with relative ease. Any student who subscribes to these study materials should find himself/herself in a much more confident and comfortable zone to answer anything and everything that the CLAT LL.M. 2019 paper can throw at him/her, come the day of May 13, 2019. As the saying goes, proper preparation and planning prevents poor performance! Keeping this in mind, we also have come up with a series of mock examination papers of varying expertise levels that would enable to candidate not only to get a feel of how the final question paper is going to be, but also to acclimatise himself/herself with the examination conditions to the extent that he/she finds the final examination to be a mere routine that needs no additional preparation nor causing any stress or anxiety. Each of these mock papers has been framed keeping in mind the subjects, past year paper patterns, quality and expertise level. All of them are at least of the expertise level as a CLAT paper, while some are deliberately made tougher so as to help the candidate get a buffer zone of efficiency and preparatory level. We are confident that any student who diligently goes through all these papers and replicates the instructions provided and prepares accordingly, will find it fairly easy facing the CLAT 2019 LL.M. Entrance Examination in the month of May, 2018.